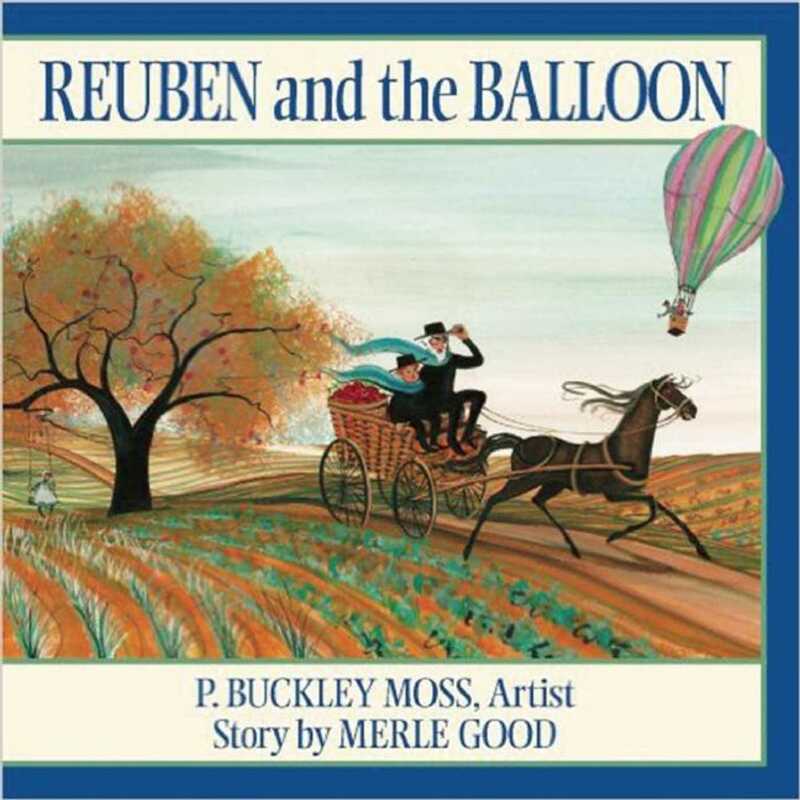 Reuben is back and ready for another adventure in the latest book from bestselling duo Merle Good and P. Buckley Moss. Reuben loves to watch hot air balloons glide above his Amish farm. But he never imagined that a balloon might actually land in a nearby field. Will Reuben get a chance to ride in the balloon? What will the farm look like when he’s up in the sky? And what will his bossy sister, Annie, say about his latest adventure? Good’s story takes the reader into the wonderful world of Amish children. Warm, rich illustrations from nationally renowned artist, Moss, bring to life the joy and activity of this farm and family. This revised edition features updated text and newly designed pages.